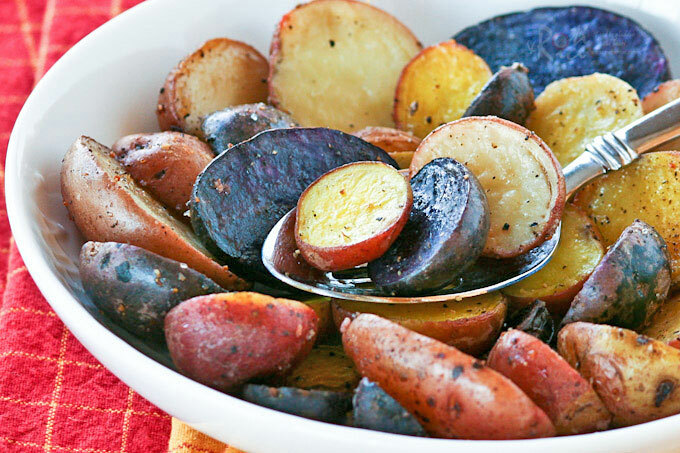 Cut fingerling potatoes into half lengthwise. Place in a 9-in x 13-in baking tray. Sprinkle thyme, salt and pepper over potatoes. Then drizzle olive oil on the top. Mix well with a spatula. Roast in a 375°F (190°C) oven for 20 minutes.